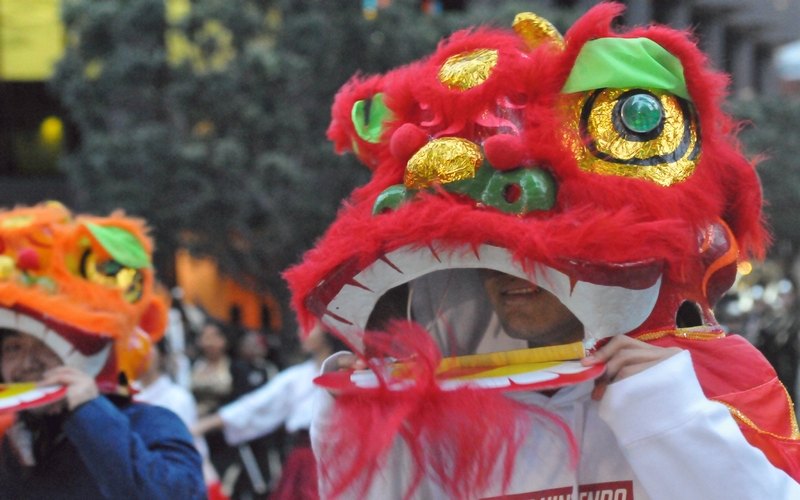 The brightly colored and furry lions of Hayward High School . 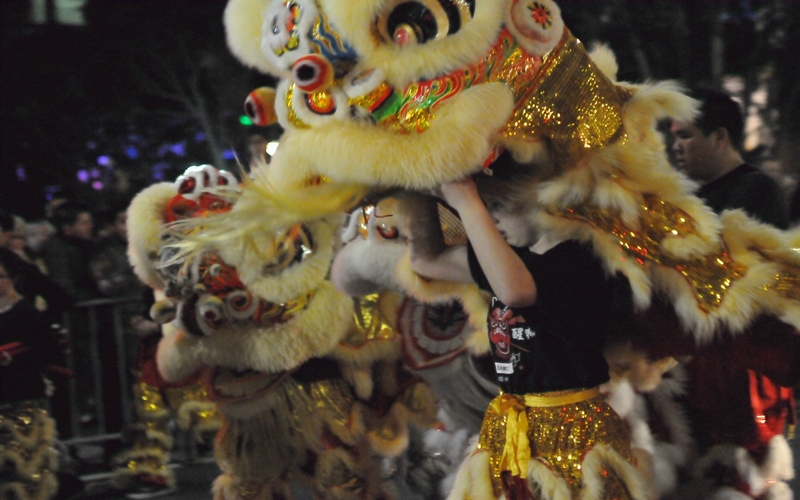 The lions of Loong Mah Sing See Wui walked past in two parts. The top part next to the bottom part. 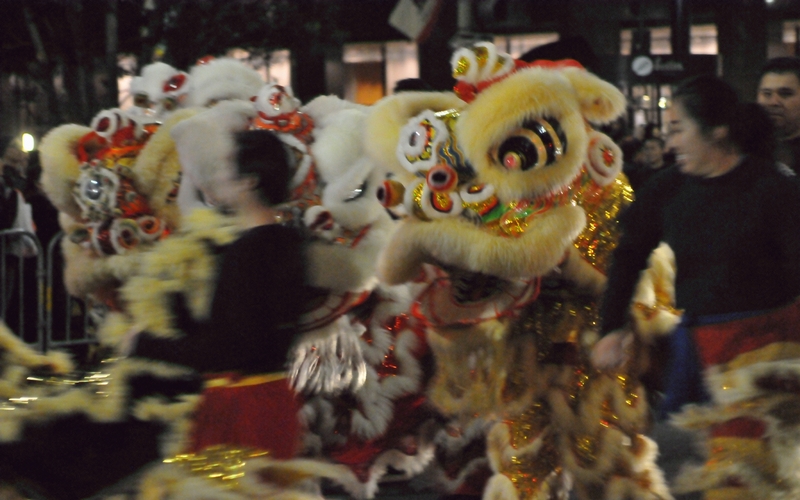 And then the lions of Loong Mah Sing See Wui assembled and began to perform. 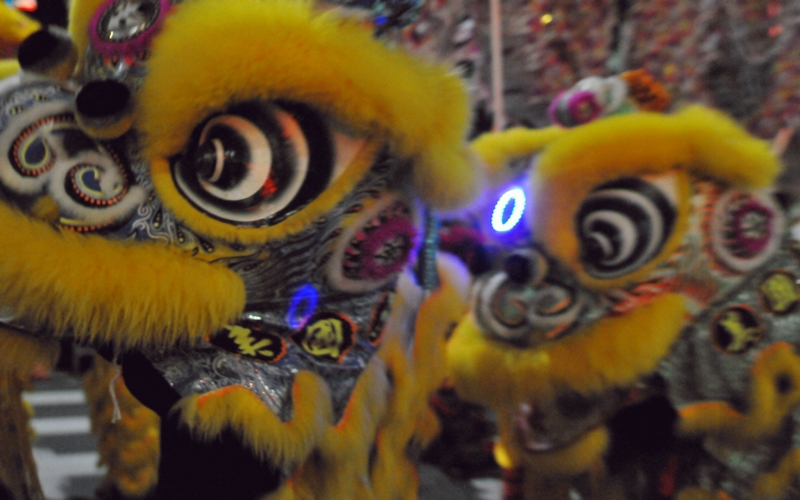 The lions of Yau Kung Moon passed by dangerously close to the camera. 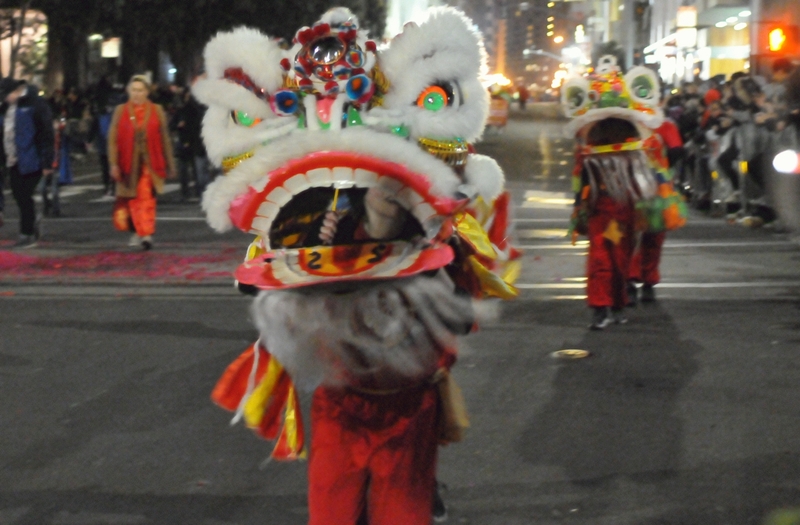 Two young lion dancers with West Portal Elementary , one of which could be seen through the mouth.